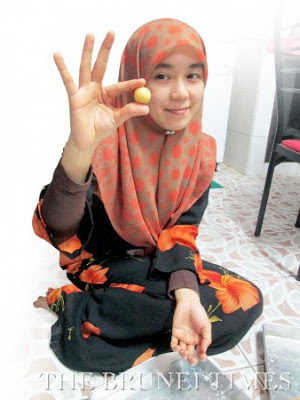 GALERI Ariffin is a small gallery in Kampung Kiudang in Tutong that houses a slice of the traditions, culture and history of the Dusun people. One of the attractions of Kampung Kiudang, the gallery belongs to Hj Ariffin Abdullah, a sprightly 73-year-old retiree. I drove down recently to visit him and talk more about his gallery, which was located at the ground floor of his house. 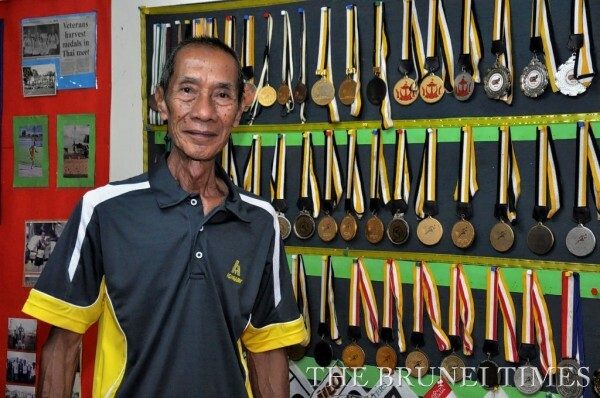 “The gallery grew from my collection of medals that I won in competitions, both nationally and internationally,” said Hj Ariffin. And what a collection it was. 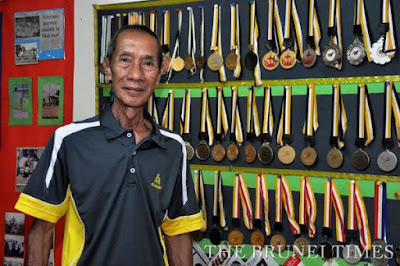 He has over 200 medals that he won spanning his active competing years which, believe it or not, is still going strong. An avid runner, he still competes at his age with one Masters Tournament coming up soon. 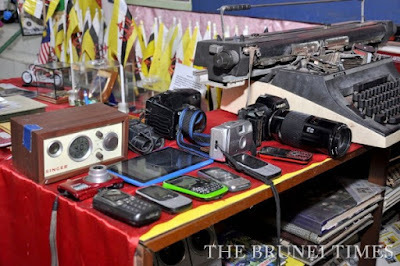 The collection started in 1983, when he was competing while still in the police force, and his hobby was supported by family. At this, he gestured to the room not far from where we were sitting, where I could see the medals hanging on the wall. “Where we sit used to be the living room,” he said with a laugh. It was during the second Anugerah Kampung Cemerlang (AKC) or the Excellent Village Awards that one of the village consultative council members suggested that he open up his private collection to the public, along with the various antiques that he never knew he had. “There were just around the house. I didn’t think that it would be something that people would like to see,” said the elderly gentleman, referring to the more than 100-year-old heirloom vase that’s also one of the attractions of the gallery. 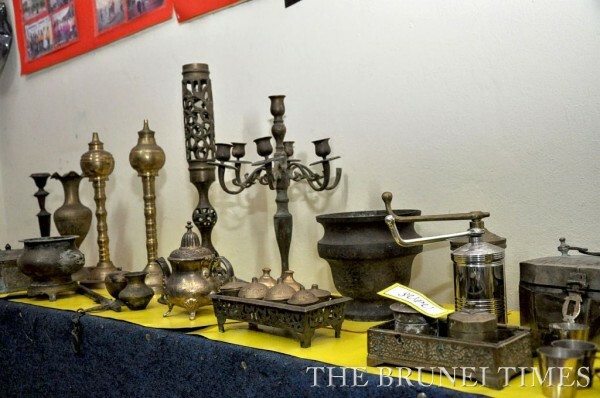 So it was in 2013 that the gallery was officially opened by the then Deputy Permanent Secretary of the Ministry of Home Affairs, Hj Ismail Hj Abd Manaf. “From there, I began to gain a passion for collecting old things,” said Hj Ariffin, who added that whenever he has any money that he could spare, he would spend them on collecting antiques. 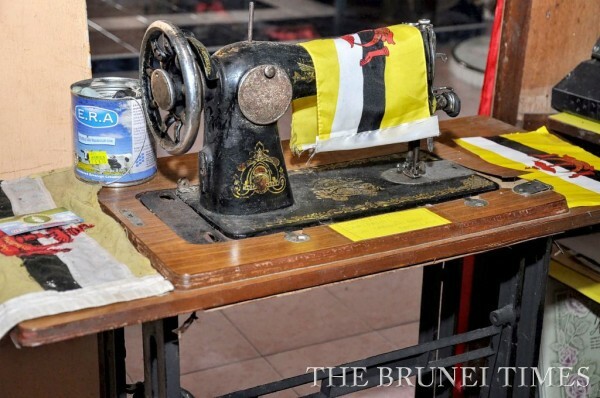 Villagers also pitched in, adding things such as a replica of a traditional Dusun house, Dusun handicrafts and antique tools. There were even pieces of pottery that he’d unearthed when he was working the garden around his home to add to his collection of old antiques. In addition to the handicrafts and the antiques on display, the gallery has also become a place where tourists and visitors that avail to one of the tourism packages that the village offers, can watch a traditional Dusun music and dance performance performed by locals. 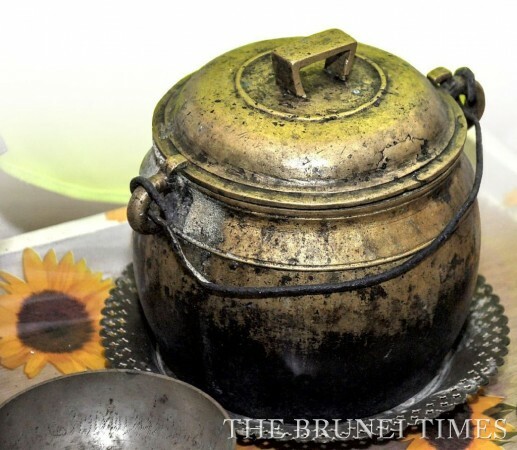 “The gallery has evolved to become a sort of three-in-one location where visitors can see the achievements of a very active senior citizen, and a place where they can look at and appreciate antiques, and get an education on the slice of Dusun culture,” said the village head of Kg Kiudang, Hj Md Saiful Abdullah Anja, who was also there during my visit to the gallery. He also shared that the gallery, as part of the various tourism attractions in Kg Kiudang, is especially popular as educational trips. The gallery is usually open from 9am until 5pm, however, that is contingent upon whether Hj Ariffin is around or not, since it’s in his house. 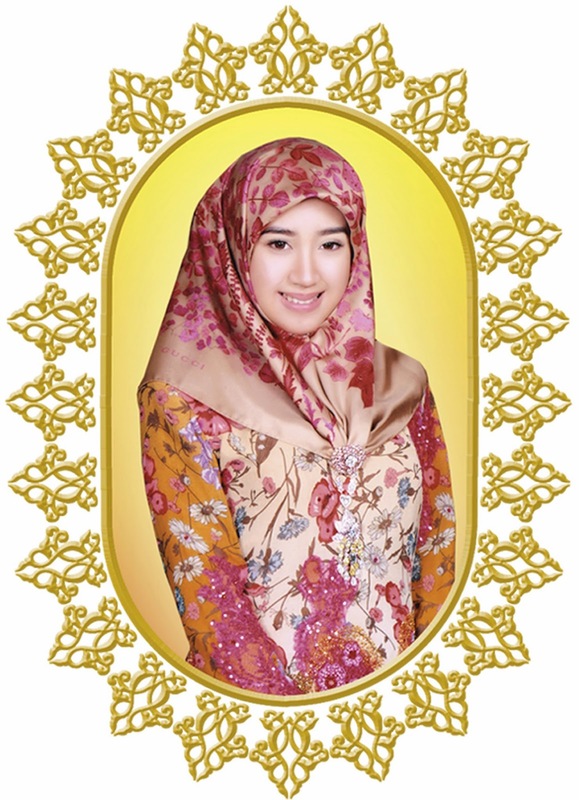 If anyone just wants to drop by, drop a call first at 8866648 or email mpkkiudang@yahoo.com. It’s totally free, though there is a small donation box where visitors can contribute whatever amount they wish. For the full-on educational experience and a traditional performance, you’ve got to book the package. Again, drop a mail or call the number above to find out. 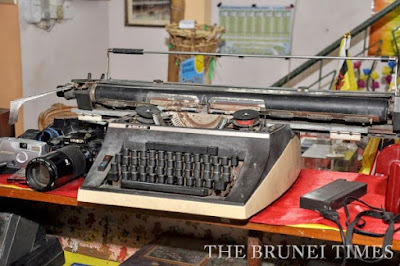 Talking with Hj Ariffin, I began to wonder whether I have ‘things’ in my house that can count as antiques, aside from my stamp collection of course.